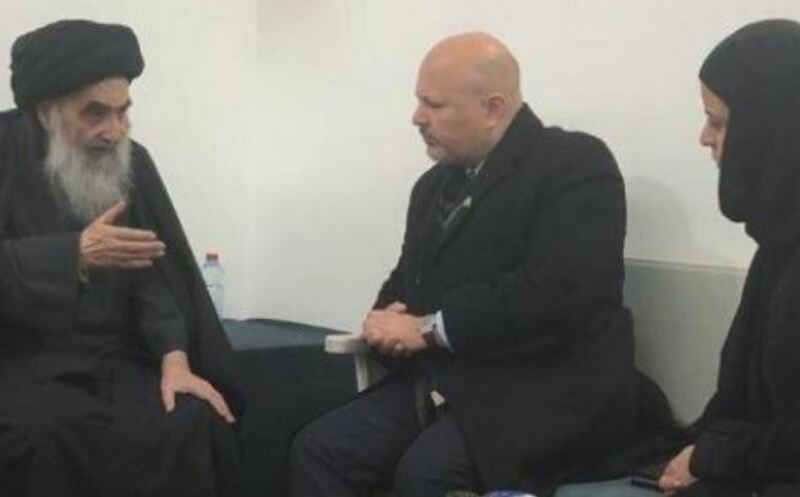 Ayatollah Ali al Sistani reiterated the urgent need to investigate the violence and crimes committed by the jihadist militias of the Islamic State even to the detriment of local Christian communities, in the period in which they occupied large areas in northern Iraq, Fides News Agency reported January 24, 2019. The Islamic leader – said a statement – expressed this request on receiving a delegation in Najaf led by the British jurist Karim Asad Ahmad Khan, at the head of the commission of investigation commissioned by the UN to collect documentation on the crimes committed by Daesh and identify the authors and those responsible. Al Sistani recommended the head of the investigation commission promoted by the United Nations to investigate in particular the “heinous crimes” against some members of Iraqi society, such as the Yazidis in Sinjar, the Christians in Mosul and the Turkmen in Tal Afar, concentrating research also on “abductions, slavery and sexual violence” suffered by women. Iraq has been criticized for the treatment of suspected members and supporters of Daesh after the liberation of Mosul and other north-Iraqi areas from the jihadist occupation. Many people were executed on the basis of supporting the self-proclaimed Islamic Caliphate, which had set its capital in Iraq, precisely in Mosul. The UN Security Council has set up a commission of inquiry – called UNITAD – at the request of the authorities of Baghdad that asked for help to investigate the crimes committed by the jihadists, and also on the subsequent violence inflicted for revenge indiscriminately against anyone who is accused to have supported the Caliphate. The legal expert Karim Khan assured that the identities and privacy of all the witnesses in the process of being heard by the investigating committee will be adequately protected.